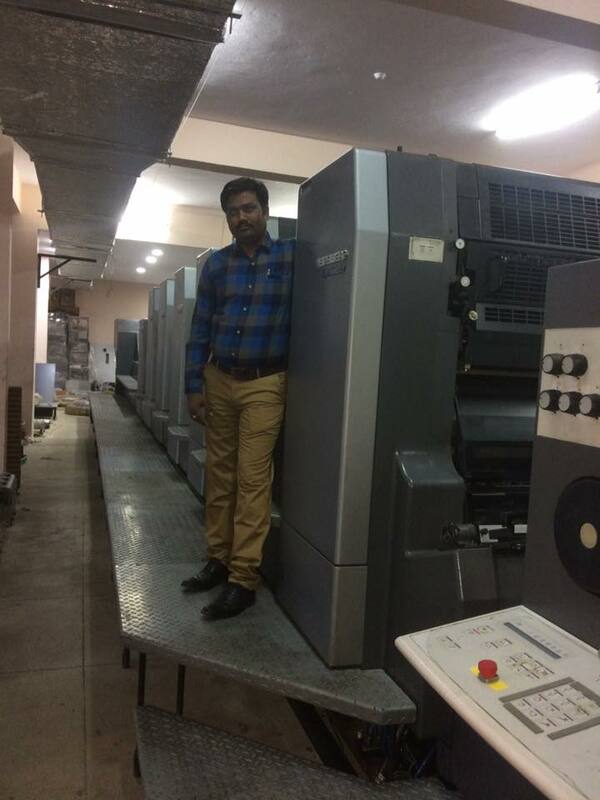 India's Leading Hyderabad based Print and Packaging firm Creative Print and Pack (CPP) upgrade technology with Modern Press Concept Heidelberg The Speedmaster CD 102 is the universal straight-printing press for commercial, packaging and label printing. Equipped with innovative technology, it provides flexible processing of a large variety of jobs and materials with maximum flexibility. Its efficiency and cost effectiveness cannot fail to impress. Easy to use, with short makeready times and integration in the Prinect workflow, the Speedmaster CD 102 achieves constantly high print quality at speeds of up to 15,000 sheets an hour. Invest in performance and future-proof value. With over 50,000 printing units sold (mentioned in website), the Speedmaster CD 102 is the world’s most popular range of machines in 70 × 100 format. Not only that – it also offers extensive added value thanks to its ultra modern equipment, maximum substrate flexibility and constant productivity. CPP Founder Mr. Kondaiah Chowdary said we are planning to expand our market around PAN India. so we are started high production with high end capable machinery. He also said value the wide range of substrates and the high level of automation of the press. Heidelberg is worlds leading printing equipment manufacturer. "The Speedmaster CD 102 allows you to offer my customers a comprehensive product range and maximum flexibility and in this way contributes to overall success, especially in growing markets" explains Kondiah Chowdary.